So Brensyn woke up at 4:30 Friday morning, and started watching infomercials. He came in and told me we should buy a pilates chair, and that it makes you skinny. 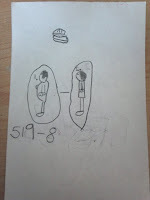 He went back to watching for a while, and went to show Jaran the picture that he drew. It started out with a lady before pilates and one after. 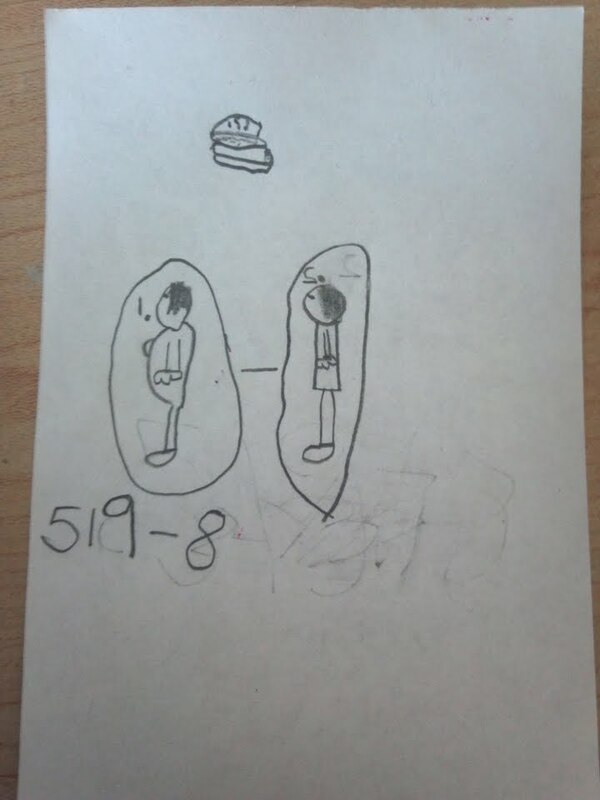 Then he started writing down the number, but it went too fast. Hilarious. But I would like to figure out how to keep him asleep... he woke up at five this morning. Ugh! lol What a cutie! That is hilarious!